Welcome to the Moonstone Hove. 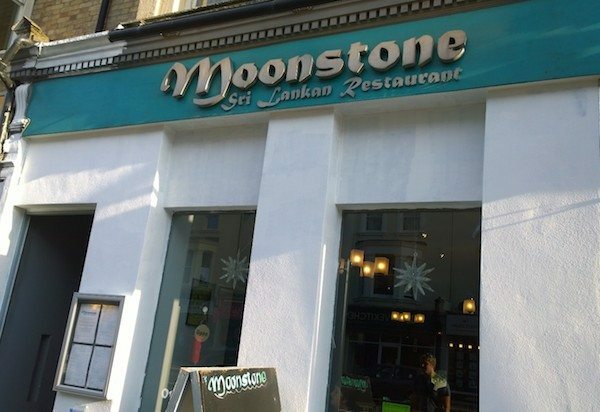 The ‘Moonstone Sri Lankan‘ Restaurant on Church Road in Hove is the only Sri Lankan restaurant on the south coast, offering a huge selection of vegetarian dishes as well as fish and meat dishes – All freshly prepared by Sri Lankan born chefs. 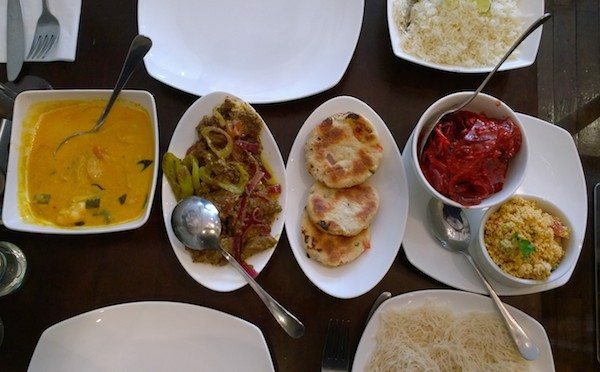 Specialising in southern Sri Lankan cuisine which has its own lively and distinctive taste, this style of cooking uses only the freshest of ingredients, along with a selection of ground spices, sent over specially by members of Dimuthu’s family. 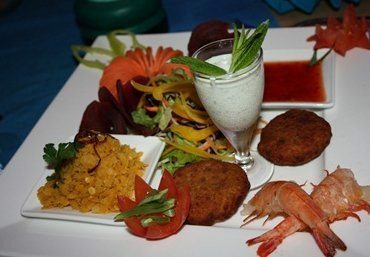 Sri Lankan food has Ayurvedic qualities, this means that as well as the food being tasty, the food is also healthy too. With intense flavours and fragrances in many dishes why not be inspired by the chefs own selection and ask him what he thinks you should eat? 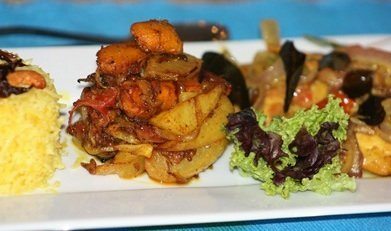 So you can have mild, spicy, very spicy, vegan, vegetarian, fish and meat dishes – And much more. From hopper to mango salad, traces of coconut to a beetroot curry there is a little something for everyone with a range of tantalising tastes that will get you going back for more, all washed down with a nice cold Lion beer. 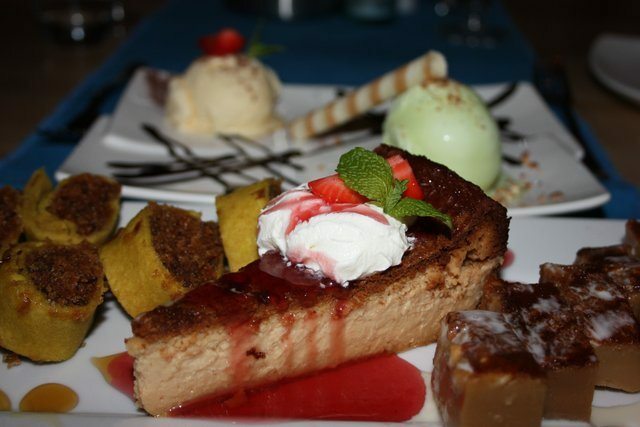 Red snapper, prawns, chicken curry, lamb, noodles, and a huge range of vegetable dishes are on the menu with a great selection of desserts too. A great alternative dining experience for vegans and vegetarians in our opinion. 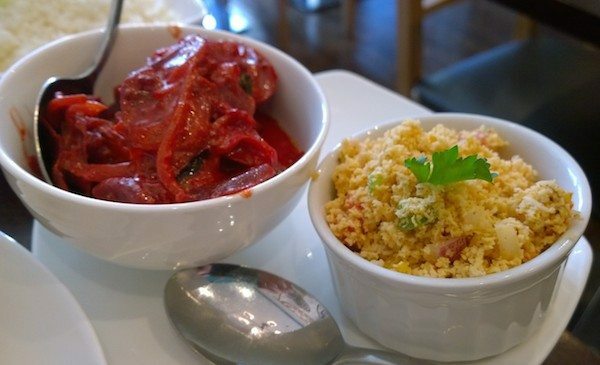 The Moonstone Sri Lankan restaurant also features on our gluten free page and is one of the most popular gluten free restaurants in the city.